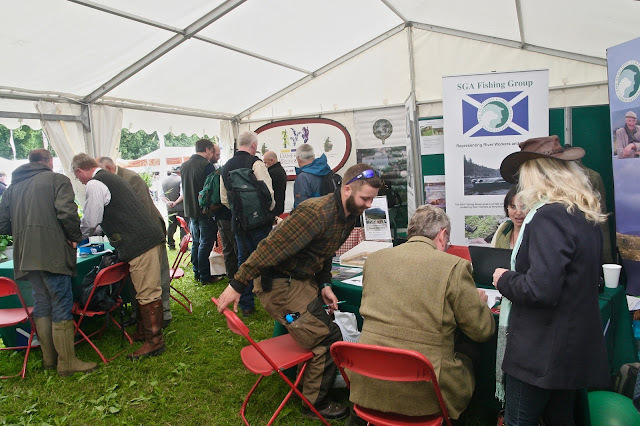 Team SGA will be setting up at the 29th GWCT Scottish Game Fair this afternoon, ahead of the the opening day tomorrow (Friday). And don’t worry, the MET office is telling us that the rain will stop on Friday, that Saturday is to be bathed in summer sunshine and that Sunday may be breezy but fair. The SGA can now confirm that the official presentation for the SGA Young Gamekeeper of the Year award will take place tomorrow (Fri) at the SGA tent at 11am. Edward Mountain MSP will make the presentation. Please come along and show your support for the next generation of skilled land managers. At 1.30pm tomorrow we will also be hosting members of SNH’s Species Licensing team for a one hour drop-in session. The SNH team will be on hand to answer any questions about species licensing, and their role in the department. Please take the time to come along and ask any questions you have.